Enrol in the ONLY high-performance mindset coaching program for actors - ON THE PLANET! I'm Ready To Become Bulletproof - I Want To Enrol NOW! When the timer hits zero, the doors close and won't open again until summer 2019! Learn How To Develop A 'Bulletproof' Psychology & Cultivate A Mindset That GUARANTEES Acting Career SUCCESS In 2019! 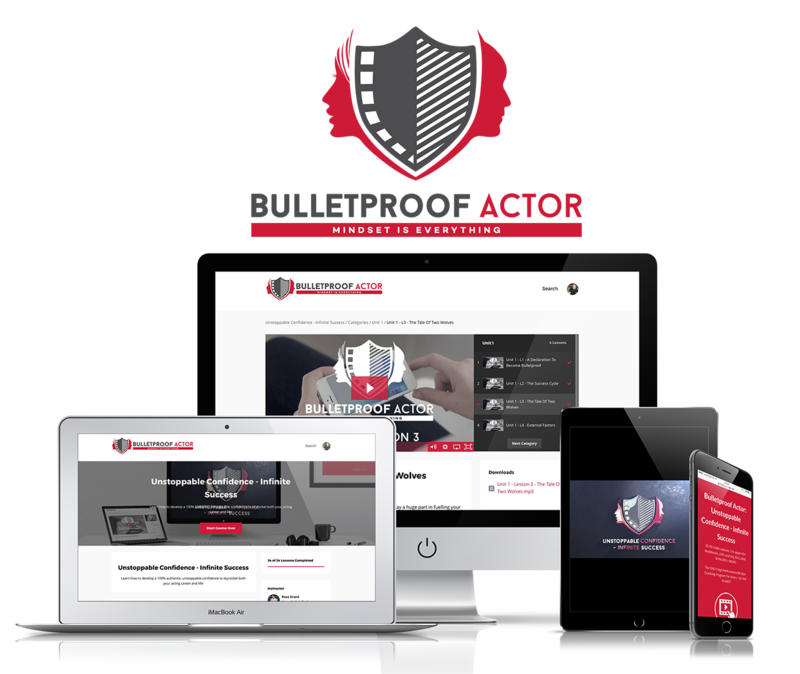 Bulletproof, High-Performance Mindset Coaching To Take On The Acting Industry & WIN! For 90% of actors, it’s not a lack of talent that is blocking them from experiencing SUCCESS – it’s actually THEMSELVES! Chances are, YOU are living with a ‘faulty mindset’ RIGHT NOW – which is fuelling your belief system with INCREDIBLY negative, limiting beliefs about your potential, your looks, your ability, your self-worth… YOUR EVERYTHING – ultimately placing a HUGE roadblock between YOU and SUCCESS – success YOU will NEVER, EVER EXPERIENCE, if YOUR limiting beliefs are not annihilated. No More Self-Sabotaging Your Audition - Before You Have Even Walked Into The Room! Bulletproof Actor: Unstoppable Confidence – Infinite Success walks you through a cutting-edge, in-depth, science-backed, proven process to destroy YOUR ‘faulty mindset’ and set YOU FREE of a belief-system that may have been holding YOU back for DECADES! 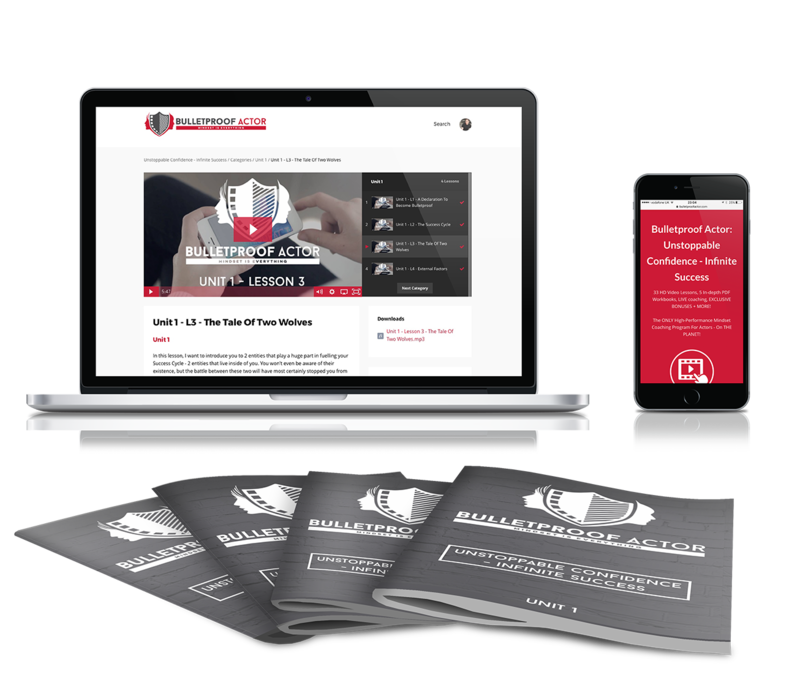 33 HD Video Lessons, 5 In-depth PDF Workbooks, LIVE coaching, EXCLUSIVE BONUSES + ﻿﻿MORE﻿﻿! The ONLY High-Performance Mindset Coaching Program For Actors - On THE PLANET! 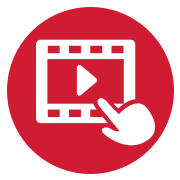 BPA: UCIS contains MORE than 4 HOURS of high-quality, in-depth, high-performance mindset video coaching. Watch on your desktop computer, tablet or mobile device. Don't have time to sit and watch every video lesson? 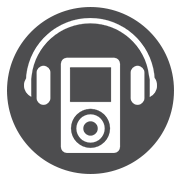 That's cool - simply download the audio and store it locally on your iPod or mobile device. 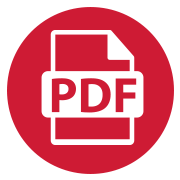 Each BPA: UCIS module is accompanied by a super high-quality, full colour PDF workbook. Keep all of your notes and exercises together in one place. 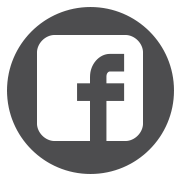 Every Bulletproof Actor student gets access to our private Facebook group. 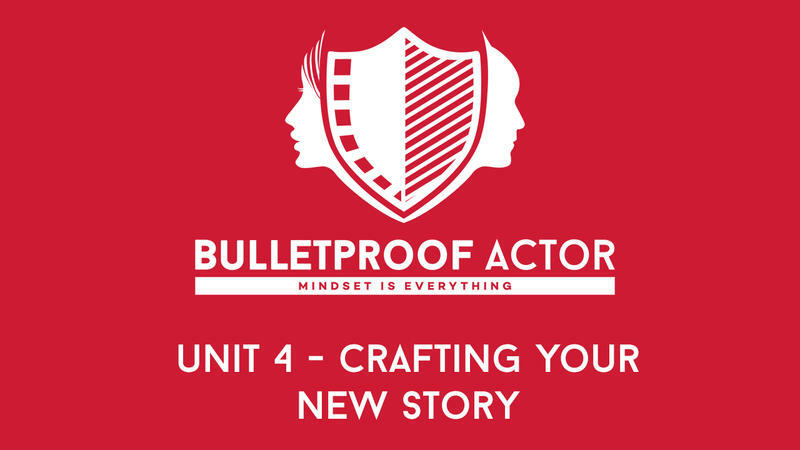 Join a tribe of inspired, motivated and insanely supportive actors, all on their journey to becoming bulletproof! Register for the VIP version of BPA: UCIS and take part in weekly, LIVE coaching calls. This provides community and accountability, ensuring you fully commit to the program. Once you are in, you are IN! You'll get lifetime access to BPA: UCIS - and you'll also receive FREE updates if the course is enhanced with further modules or special features. You'll never be left out! Write A New, LIMITLESS Life Story That Guarantees Success For The Rest Of You Life! In Unit 1, you’ll learn the EXACT science behind real SUCCESS – the reasons the rich get richer and the poor get poorer. You’ll learn about the 6 ‘little-known’ external factors that are blocking you from experiencing SUCCESS RIGHT NOW! In Unit 2, you’ll discover how the 6 external factors from Unit 1, manifest into negative internal symptoms that are currently ruining 3 major areas of your life. If you don’t deal with these now, you can wave goodbye to success FOREVER! In Unit 3, you’ll see how the external factors from Unit 1 and the negative internal symptoms from Unit 2 have created the limiting life story you are living TODAY! This story is holding you back from fulfilling your true potential! In Unit 4, we RE-WRITE your life story! We throw away your old, limiting life and create a brand new, compelling, LIMITLESS one! This is the MOST EMPOWERING thing you will EVER do for yourself and is truly life-changing! In Unit 5, we UNLEASH your INNER HERO! The exercises in this unit will leave you with an UNSTOPPABLE CONFIDENCE, constructed of courage, commitment and capability! Success will become inevitable for you! 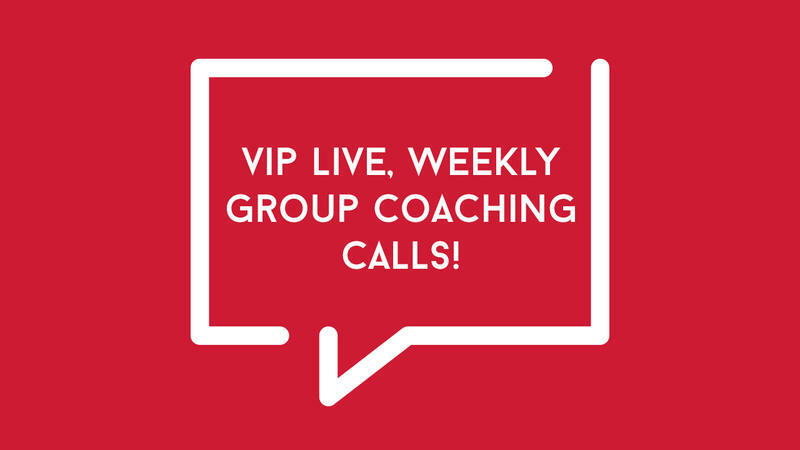 If you want to dive even deeper – become a ‘Bulletproof VIP’ and get access to LIVE, weekly group coaching calls with Ross. Ask your personal questions and network with other inspired actors looking to become BULLETPROOF! 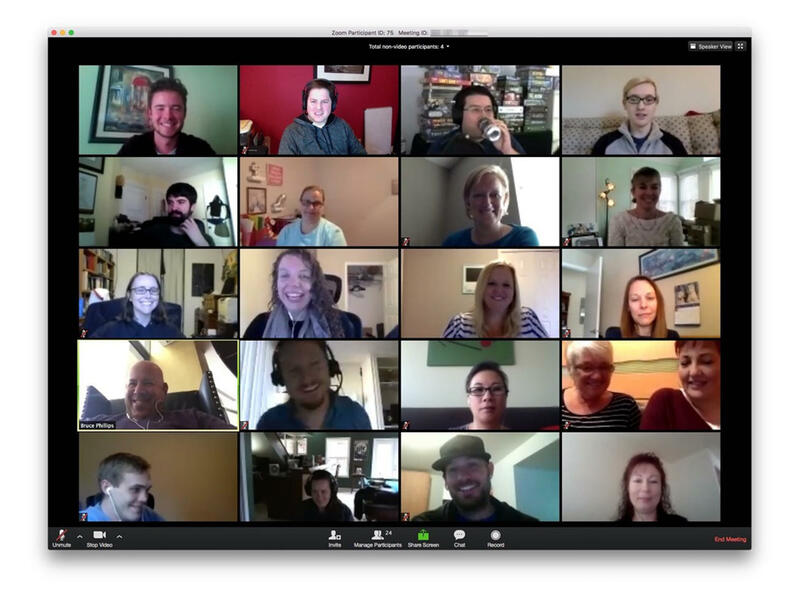 GO VIP & Get LIVE COACHING From The Comfort Of Your Own Home! 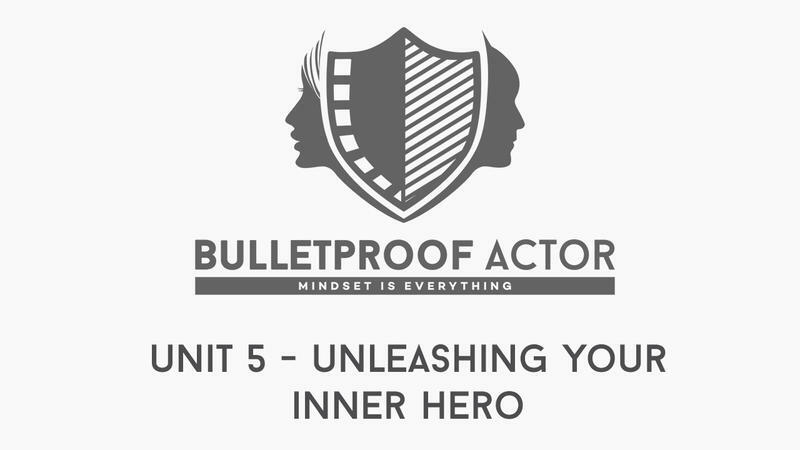 Enrol in the Bulletproof Actor: Unstoppable Confidence – Infinite Success VIP Coaching Pack and attend your 5x LIVE, weekly group coaching calls from the comfort of your own home! Tune in on your desktop, smartphone, or tablet - and get one on one coaching, in a motivating and inspiring setting! Network with other actors, as we form a mastermind group, determined to help each other see the acting career and life success we all deserve. These coaching calls will finish in December 2018 - PERFECT for setting you up with a peak state of being to ensure 2019 is your BEST YEAR EVER! 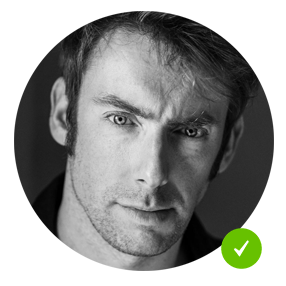 I'm a professional actor, voiceover artist and creator of Act On This - The TV Actors' Network (the UK's largest online professional network for TV actors). For the past decade I have been absolutely obsessed with high-performance mindset and science-backed positive psychology. Back in 2005 I was a broke, clueless, agent-less actor. By implementing the skills and strategies that I teach in this very program, I have since been able to cultivate a full-time acting and voiceover career - working with some of my absolute acting heroes (Peter Capaldi, Juliet Stevenson, John Simm, Sue Johnston and Peter Kay to name but a few), setup 3 successful online businesses, and impact thousands of actors throughout the world - coaching high-performance mindset. I would love to work with YOU next - so please Join me! 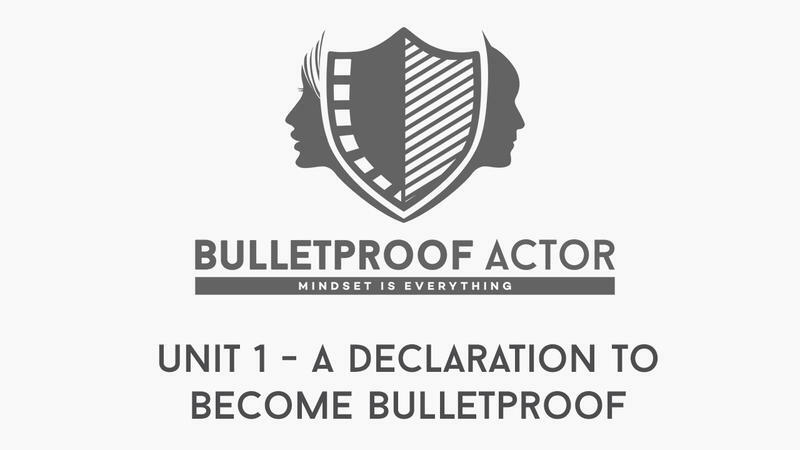 Bulletproof Actor Graduates Take On The Industry And WIN - WATCH! "Applying what Ross has taught me has contributed greatly in getting me to where I am in my career today. 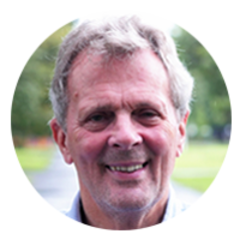 I find Ross’ mindset strategies HUGELY effective – particularly those around ‘limiting beliefs’ and taking ‘MASSIVE action’." "Actors need to develop this kind of confidence... I see actors sabotaging their own auditions ALL THE TIME! Ross' work has had a BIG impact, enabling actors to get themselves out of this vicious cycle. I highly recommend it!" "Ross' mindset coaching works... FULL STOP! I've seen Ross' coaching material literally transform actors' lives. This stuff is legit! EXACTLY what the industry needs!" Bulletproof Actor: Unstoppable Confidence - Infinite Success is ONLY for the most COMMITTED actors. Please check below to see if it is suitable for you at this time. Actors who are looking to reach their next level and are ready to commit to SUCCESS NOW! Actors who know they can become SO MUCH MORE than they currently are. They have a 'growth mindset'. Actors who are prepared to ask themselves some uncomfortable questions - in order to break through and destroy their 'limiting beliefs'. Actors who appreciate that life happens 'for them' and not 'to them'. Actors who would like to become part of a tribe of inspired actors, who EMPOWER one another, and celebrate each other's success. Actors who like to dabble in success, but aren't committed to their career. Actors who feel they will never be more than they currently are. They have a 'fixed mindset'. Actors who are afraid of getting uncomfortable - and are not prepared to work towards becoming comfortable with the uncomfortable. Actors who have a 'victim' mentality. They feel that the acting industry is unfair and unjust. Actors who view everyone else as competition and spend much of their time feeling jealous of anyone else's success in the industry. EXCLUSIVE BONUSES For The First 75 VIP's! I'm all about people taking FAST ACTION - so to reward the FIRST 75 actors who register for the BPA: UCIS VIP Coaching Pack - I'm offering these INCREDIBLE BONUSES! JUST 1 PLACE LEFT - BE QUICK! Mark Dhamma is one of LA's TOP high-performance coaches. Mark has coached some of the world's BIGGEST actors and musicians - on what it takes to look, feel and perform at their best. He charges private clients up to $10,000 an hour for his coaching. In this EXCLUSIVE, 60-minute podcast, YOU will get access to some of Mark's most effective strategies to truly take your life and career to the next level. 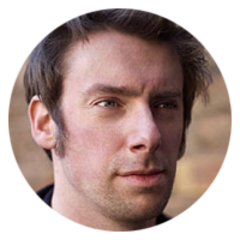 Award-winning director Chris Stone is the UK's leading authority on actors' showreels. In this LIVE, online workshop, Chris will be sharing his top tips to ensure that YOUR acting showreel is making the BIGGEST IMPACT POSSIBLE on the casting directors watching it. If you don't have a showreel yet - don't worry - Chris will be sharing his insider knowledge on where to start, along with the critical elements you MUST include in your first reel. 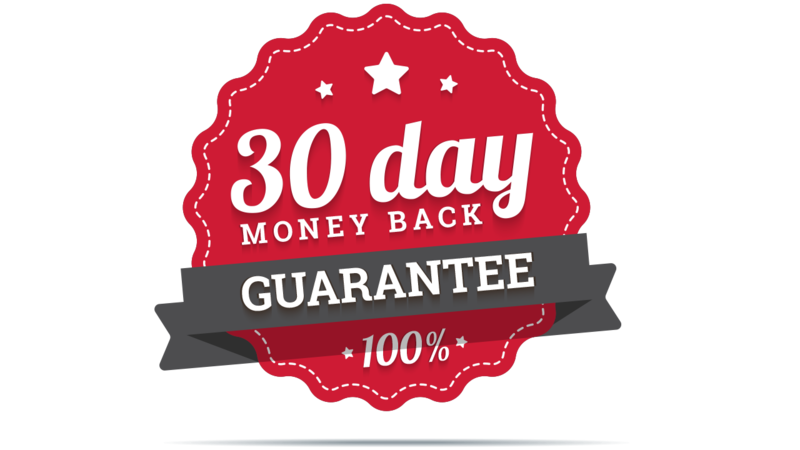 Try It For 30 Days 100% Risk-FREE! It's VERY simple - if you watch ALL the video lessons, complete all of the exercises in your workbooks, attend the LIVE coaching sessions - if you choose the VIP package... and DON'T feel that you got insane value from the program - drop me an email within 30 days of purchase and I will refund you every penny. You have my word! I take all of the risk - and I'm cool with that! Ready to COMMIT to a life of LIMITLESS potential? Let's get you set up! Get the FULL VIP LIVE COACHING PACK, but spread the cost across 3 monthly payments. ... then pay £99 in 30 days time, followed by one final payment of £99, paid 30 days after that. Becoming BULLETPROOF has never been more affordable! Hear some in-depth 'Bulletproof Actor' experiences, from actors who are crushing it right now! How Oscar-Winning Rachel Shenton Crushed Her Limiting Beliefs On Time! You'll know Oscar-winning Rachel for her roles as Mitzeee in Channel 4's 'Hollyoaks', Lily Summers in ABC's 'Switched at Birth', and of course her 2018 OSCAR win for writing and starring in 'The Silent Child'. Listen, as Rachel divulges how Bulletproof Actor helped her to overcome limiting beliefs on time, in order to 'smash it' in Hollywood! 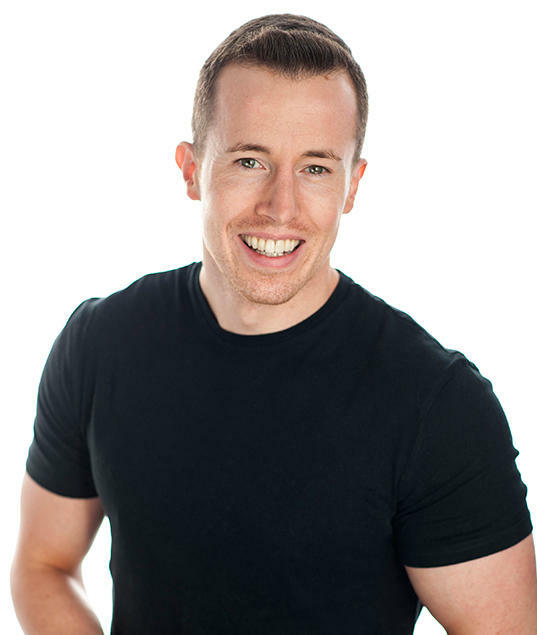 How Bill Bradshaw Secured A Guest Lead On 'Emmerdale' By 'Bulletproofing' His Mindset! Bulletproof Actor graduate Bill Bradshaw tells us how he went from a lazy, procrastinator - to starring as a guest lead in ITV's 'Emmerdale' - all thanks to what he learned in 'Bulletproof Actor: Unstoppable Confidence - Infinite Success'! Here are the answers to some of the most common questions I get asked. Bulletproof Actor: Unstoppable Confidence - Infinite Success is a 5 module program designed to rid you of your 'limited' mindset, in order for you to experience more success than EVER before - in BOTH your acting career and LIFE in general. 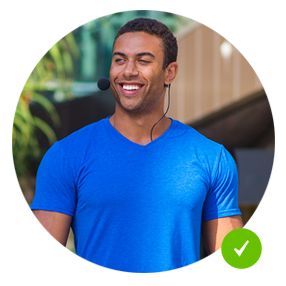 Using cutting-edge, science-backed, positive psychology, the program takes you through an incredibly in-depth process, leaving you with an unstoppable confidence to finally reach your full potential. What makes BPA: UCIS different? BPA: UCIS is unlike ANY other acting program on the PLANET! There is literally NOTHING else like this out there. Regular acting programs focus on technique alone - not appreciating that you will NEVER out-work, out-perform, or out-achieve your belief-system. If your belief-system is faulty - you will FAIL, regardless of acting talent - that is a FACT! How is BPA: UCIS delivered? 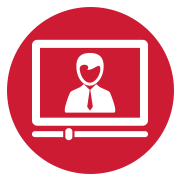 The entire program is online and is delivered via 33 HD video lessons. Each of the 5 modules included in BPA: UCIS is accompanied by an in-depth, super high-quality PDF workbook. 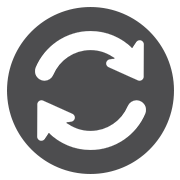 Lessons can also be downloaded as audio only, MP3 files. Payment is made via debit or credit card, and is 100% secure, using a service called Stripe. Enrol on BPA: UCIS - and complete it. That includes watching ALL 33 videos, filling out ALL exercises in your workbooks, and attending the LIVE, online coaching calls - if you are a VIP student. If you don't feel the program has given you insane value, drop me an email - and you get a FULL REFUND. NO ONE has ever requested a refund - the results of this program are TRANSFORMATIONAL. Cool - hit the chat icon at the bottom of the screen and let's talk!